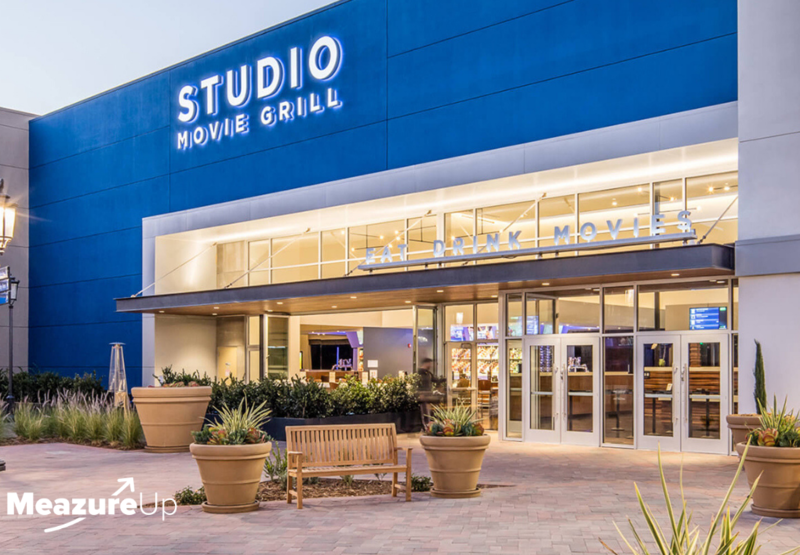 Toronto, ON, Canada – Jan. 29, 2019 – Today, MeazureUp welcomes Studio Movie Grill (SMG), the Dallas based leader and pioneer of the in-theatre dining and movie experience. SMG is one of the latest additions to a fast-growing list of multi-unit chains to utilize the MeazureUp digital inspection app for operational efficiency. With this, SMG will be able to standardize and optimize brand consistency while enhancing the level of service at each location through the MeazureUp digital application. SMG, with its innovative mix of both movie and dining experience, started as a single unit in Dallas, Texas spreading across ten states and over 30 locations with 350 screens all in 20 years of existence. Kito Cody, Senior Vice-President of Operations, knows better than anyone just how important sound operations are to their overall success and growth. “Serving more than a thousand orders during one showing across multiple screens without compromising on high service standards can be difficult to manage.” and maintaining the same level of experience across vendor locations could be a challenge. “SMG recognizes the benefit of establishing secure infrastructure as a foundation for organizational growth,” where using Meazureup’s digital solution “will help us do that in an efficient and effective manner,” he said. With features that help predict trends and performance metrics on an easy to use cloud-based platform, Meazureup makes it possible to “measure, compare and record all of the variables involved in operations while understanding where we’re performing well and where we can improve,” said Cody. He added that the inspection app will help him focus on other aspects of his role by freeing up a lot of his time, previously spent reviewing individual reports. MeazureUp understands the importance of organizational consistency and will ensure that the high standards of SMG are met through the use of their digital audit solution. With live photos, annotated comments, action plans with real-time follow ups, consistency can be monitored from anywhere. From MeazureUp, the goal is to help management analyze aggregated data on their Business Intelligence Center and use extensive analytics to make smart, data-driven operational decisions. SMG was founded in 1999 and is owned by Brian Schultz. Since inception, SMG has been an innovator in the movie-grill concept, offering first run movies with unmatched food and beverage service. Additionally, SMG is a leader in sound and picture quality, online reserved seating, and alternative and specialty programming that reaches and connects with local communities. The company started as a single unit based in Dallas and went on to achieve tremendous growth with its innovative concept pioneered by screening first-run movies along with dining experience which created a niche for itself in the entertainment industry, predicted to be the future of movie-going experience. The company now has over 350 screens in 31 locations across the United States with 13 units located in Texas alone. They have over 6000 employees and serve more than 13 million customers that visit their theatres annually. MeazureUp is a cloud-based software company assisting over 95 brands and thousands of locations manage their operational consistency. Using the MeazureUp inspection app, organizations can gather internal information with detailed analytics and operational intelligence using a digital platform. With users across North America currently on board, MeazureUp can help management and district managers focus on their core concern, growing their business. For more information, visit the www.meazureup.com or contact 1-855-MEAZURE with any questions.